Fetzer - This is Jim Fetzer your host on “The Real Deal,” with my very special guest today, Doug Horne, who was a senior analyst for military affairs for the Assassination Records Review Board, and who has produced a 5 volume masterpiece a study of the medical evidence and the Zapruder film for the edification of the public. And in my opinion it represents a decisive turning point in our understanding of the issues. He is dealing with issues, with matters of such complexity and yet he has integrated them so beautifully, he has made all of this technical business so accessible that I submit that anyone with a tenth grade high school education can read this book with the benefit and enlightenment and understand virtually every single word. 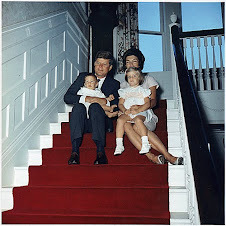 We began talking about three prominent figures in the attempt to defend the authenticity of the film, Josiah Thompson, the author of “Six Seconds in Dallas,” a fellow by the name of David Wrone who has published a book called “The Zapruder Film: Reframing JFK’s assassination,” and Rollie Zavada an employee of KODAK who came back to do a technical analysis of the film. We have already discovered that Rollie Zavada’s technical analysis was either incredibly incompetent or deliberately deceptive in virtually every major respect, the evidence he adduced from witnesses and from documents and research contradicted the conclusions he presented. He withheld the report, it appears to me, until the very last day so that it could not be subjected to critical assessment. But, Doug Horne has done a masterful job of dismantling it. I would now like to turn to the issue, to the second kind of argument of the three major arguments that are presented by proponents of authenticity the first is that the film is supposed to be technically consistent with Zapruder having filmed it which we have demonstrated is completely false. Second, that there was no opportunity for there to have been the creation of an alternative version of the film because there was an established chain of custody and then the third issue [which] we will turn to in the next segment is the claim that all the films are completely consistent so that you have the Muchmore and the Nix and the Zapruder and so forth and that it would have been impossible for them all to have been faked. The passage I want to read here in relation to this question of the events of the weekend of the assassination at the National Photographic Interpretation Center appears of 1239, er, 1238 and 1239. I’m going to read them Doug and it’s a little longer than what I read before but I think it sets up the issues that I want you to address. End quote, continuing with Doug Horne: Every significant statement in the above paragraph can now be shown to be incorrect, based upon the Homer McMahon/Ben Hunter interviews in 1997, and the extensive series of Dino Brugioni interviews in 2009. Let’s list the reasons, shall we? 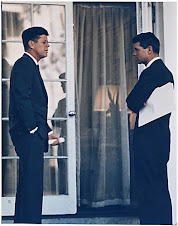 * The CIA’s surrogate, the “Hawkeye Plant” at Rochester, was placed in direct connection with the Zapruder family by “Bill Smith,” of the Secret Service on Sunday, November 24th, before the funeral of President Kennedy. * Any quick perusal of the Homer McMahon interview of July 14, 1997 (which David Wrone referenced in his book - via endnote 36 on page 127) reveals that the 9 pages of documents given to the Rockefeller Commission by the CIA in 1975 are not all associated with the same event, and that while the shot and timing analysis was not performed the weekend of the assassination, the making of internegatives and prints from the film did occur on the weekend of the assassination. 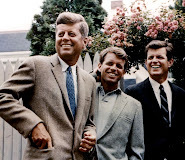 * The scheduling of two compartmentalized film processing operations of the Zapruder film at NPIC the very weekend of the assassination hardly constitutes “lack of official interests.” In fact, it is evidence of the exact opposite: an extremely high level of official interest. David Wrone was aware of the McMahon/Hunter interviews when he completed his manuscript; we know this because he referred to them with an endnote. Are we to believe that he cited something he did not read? Of course not. Wrone intentionally withheld the contents of the McMahon interviews from his book, and while I earlier inferred a reason, only he can explain why. Did Dino Brugioni also tell David Wrone that he handled the original Zapruder film the weekend of the assassination (just as he told Peter Janney?) We will never know. Wrone only describes what Dino handled as “a roll of 8mm film,” without showing the slightest curiosity about whether it was the original or a copy. If Dino did describe what he handled (during his interview with Wrone in May of 2003) as “the original” Wrone chose not to believe it. That is his prerogative as an author and an analyst, but if so, he also chose not to report it. And that is another matter altogether. In my view, Wrone’s strident tone of dismissal in regard to any nd all ideas of the so called ‘alterationists” in the JFK research community is an overreach, and a disservice to the scholarly discourse that we should encourage within our ranks. He has now paid the price for having a closed mind that was unwilling to fairly consider new evidence about the Zapruder film, which he clearly indicates in his book that he was aware of. 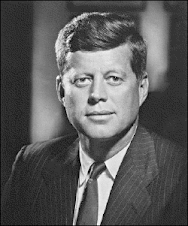 he would have served both his reputation, and the cause of JFK assassination research, much better if he had honestly acknowledged the possible implications of the McMahon and Brugioni recollections, while disagreeing with them because he found the weight of other evidence more persuasive. But that’s not what he did. Horne - Once again you pick the perfect summary to read to your audience. Thank you. Fetzer - Doug, tell us about that event, the events of Saturday night, and Sunday night because it’s absolutely stunning, and it is such a clear and decisive repudiation of the claim that there was an unbroken chain of custody that I cannot imagine how anyone who has a brain in their head who reads what you have discovered which was already reported in part in “Murder in Dealey Plaza,” in the year 2000 can persist in making such a flimsy, obviously refuted argument. Horne - Right. You know, this is a mystery story that grabs anyone who reads it I believe, and studies it, and it’s something that anyone can understand. The official chain of custody of the film which there was a general consensus about before 1997 was that the film was bought from Mr. Zapruder on Saturday after the assassination, Saturday, November 23rd, and then sent to Chicago, and that it stayed in Chicago all weekend, and that the government did not have its hands on the original film that weekend at all. And that only the Secret Service, the Secret Service had two copies, one that it sent to Washington, and one that it had in Dallas. And what happened in 1997 was that we became, the Review Board became aware of an event at the NPIC, let me explain to the readers, the viewers, excuse me, the listeners what that is, NPIC was the primary photo analysis lab of the CIA. It was where they did their analysis of U2 photographs and CORANA satellite photography, for the most part, and it’s in Washington, D.C. in the Navy yard. And that’s where it was then and the building is still there and similar functions go on now but they are performed by a different agency with a different name, but anyway the building is still there in the Washington Navy yard. So, we became aware of it, [“it” being the story that] the original film, a film purported to be the original was at the NPIC the weekend of the assassination [we learned that in] 1997. Fetzer - in order to view it. [On] Sunday, however, a completely different group of NPIC employees was brought an unslit 16mm film by an agent who identified himself as “William Smith,” no doubt a pseudonym who said that it had been developed at the KODAK labs in Rochester and was to be used to prepare a briefing board which was precisely the purpose for which the previous film had been brought. Two completely different sets of briefing boards were prepared, one had two panels, the other three. They were different in their character, and the films were completely distinct. Where Homer McMahon and Ben Hunter were involved in studying the film on Sunday which rather apparently is the revised version of the authentic film which Dino Brugioni seems to have had in his hands Saturday night. Horne - Thank you, Jim. The thing that is so stunning about these two separate events, on two successive nights is that they are different in every possible way. “Event Number One,” on Saturday night, and when we say Saturday night it started late Saturday night and went all night long and close to dawn on Sunday. So, Event One was with an 8mm film believed to be the original by the people examining it, briefing boards were made by a select group of people, and we know their names too, and those briefing boards were used the next morning to brief CIA Director John McCone. The very next night a 16mm film is brought, as you said, from, not only from Rochester where KODAK’s headquarters is but the agent who brought it said it came from a lab called “Hawkeye Works,” which was the code word for a secret, highly classified CIA photo lab at the KODAK plant. And he says I’ve just brought it from there, and then he lied, and said this is where the original film was developed. Well, yeah, that is where the film that he brought was developed but what he brought could not have been the original film because it was 16mm wide and had opposing image strips of frames going in opposite directions, it had all the hallmarks of an 8mm double 8 film that had been shot in a camera and not yet split. And so, the thing that grabs me the most is that the work crew the second night is all different people. The first night it’s Dino Brugioni who is the Chief Information Officer. He was “Mr. Briefing Board” at NPIC. And he had two associates with him Ralph Pierce and Bill Bamfield and then a couple of photo techs and graphics people to help them. The second night it’s the head of the color lab, Homer McMahon and his assistant Ben Hunter and the man that opened up the facility for them was Pierre Sands. Well, it turns out Pierre Sands was the deputy director of NPIC, the number two guy. So, when my good friend Peter Janney who really broke this wide open, this chain of custody thing this year, he did, I believe it was, yes, seven interviews with Dino Brugioni this year, Dino Brugioni said yes, I knew Pierre Sands, he was the deputy director, but no he was not at the event that I attended on Saturday night, he wasn’t there. And then as it turns out Dino Brugioni said yes I knew Ben Hunter, who was at “Event II,” I knew Ben Hunter, and he was not present at the event that I presided over. And so, what we have here is unsanitized truthful briefing boards being prepared Saturday night from what I believe was clearly the camera original film, 8mm wide. I’m sure it was from Chicago and I’m sure it was intercepted there and flown to Washington, D.C. which is why it didn’t arrive until 10:00 p.m. So, those briefing boards that John McCone saw Sunday morning, very early Sunday morning, I’m convinced were of the unaltered camera original film, and then the briefing boards made the subsequent night by Homer McMahon and Ben Hunter were clearly of a sanitized film. If there had not been something untoward happening, if there had not been a cover up in progress there would have been no need, Jim, to call a second group of workers and order them not to discuss what they were doing with anyone, not even with their supervisor. Fetzer - And not only that, of course, Doug but you’ve also laid out a brilliant parallel case regarding the payments to Zapruder for the film where something happened between Saturday, where there was an original agreement for LIFE magazine to take possession of the film, absent motion picture rights, and Monday when they came back to Zapruder to re-negotiate by giving him a $100,000 dollars more to now include the motion picture rights, a motion picture right that they never exercise by even once displaying the film for the public’s benefit commercially or not. Horne - That’s right. I consider that hush money, and it’s pretty apparent. LIFE paid $50,000 Saturday for print rights and they were only supposed to have the original film for a week and then return it after a week. They started renegotiating the deal late Sunday afternoon and Sunday night. I find that particularly interesting since that is when the altered film showed up at NPIC Sunday night, and then Monday that new contract was signed for not 50K, but for $150,000. And the payments, interestingly were staggered, they were $25,000 a year was paid, so that the implication here to me as I interpret it is if you keep your mouth shut you will get your annual payment for six years. So, just go along to get along, play ball and you’ll get your money. And the last payment was made, I believe, at the end of 1968. Fetzer - Doug, another, given the few minutes we have in this segment and before I turn to the relationship between the Zapruder film and other assassination films I would like for you to comment on the phenomenon David Lifton observed, “the full flush left,” a feature of the Zapruder film which is consistent throughout the film but appears to be missing from other efforts to replicate it which have only shown it to occur intermittently every now and then but not consistently even with cameras of the same make, model and design of Zapruder’s. Horne - I’m sorry, I’m so sorry, Jim. Fetzer - I think the answer to that is because when they were recreating the film at the Hawkeye Works they made a faulty judgement and decided that they would simply produe it that way. Horne - People are talking, and I can make this real simple for the audience. People are saying, ‘Hey, there’s test film now in the Archives, supposedly, that was shot in Zapruder’s camera in 1964.’ And my answer to that is yes, there is, I know that. But, it was shot on May 24th, 1964 and I don’t know whether that test film in the archives shows full penetration, or not. I suspect not, but no matter what it shows it is not germaine to this argument. The test has to be conducted in Zaprudeer’s camera because each camera is just a little bit different, and it has to be conducted on November 22nd at 12:30 p.m. local time, otherwise it is not germaine to this argument. Horne - Yeah, red truck, one frame, one frame. Fetzer - One frame, yeah, one frame shows “full flush left”, and the other does not. So, he faults the text where David is saying that it shows that there is not “full flush left,” meaning consistent throughout the film and the fact of the matter is because it’s published in black and white it is very difficult to discern that it’s present in one and not present in the other, but it’s grasping after straws. It’s trying to make something out of basically nothing, which seems to be the strategy here if you can find some single point, and I doubt very much by the way that Josiah Thompson has even read “The Great Zapruder Film Hoax,” he has found himself psychologically incapable of reading anything that I am associated with, even though I have [only] edited these books he still cannot bring himself to read them, nothwithstanding he writes the most god awful hatchet job reviews for Amazon.com of books he’s never read, which I consider to be dispicable, an obvious betrayl of any semblance of standards of scholarship. But, in this instance, when we [they] have printed them in the book in black and white you couldn’t tell the features he was talking about were obfuscated, but, nevertheless, if they were not [printed in black and white but instead were published in color] they would substantiate Lifton on this point, and not Thompson. Horne - Right, and he set up a classic straw man argument in his essay on the Mary Ferrell website in 2007 by ignoring the fact, he ignored the fact that every single frame on the extant film goes “full flush left” and beyond in its image penetration and that only a few intermitent frames he shot in test cameras do that. He ignored that, and in fact I think he hid that fact from his readers, which I have discussed in my chapter, and which really demands that such a film test be conducted. And, in fact, by the way, such a film test was conducted last November 22nd, just two months ago, at 12:30 p.m. NOT using Zapruder’s actual camera the Archives is too afraid to loan that to anyone, or to even run film through it themselves but that using a same make and model camera at least a test was conducted on the proper day, at the proper time, with the proper sun angle, and eventually the Hollywood Research Group will develop that film and we’ll see what it shows. I am not afraid to do real science. Fetzer - Doug, something I also admire about your work is that you are willing to call it, you don’t hedge, you state when you believe somebody has been deceptive, misleading, perpetrated a fraud on the public and I also admire you for that. This is Jim Fetzer your host on “The Real Deal,” with my very special guest today Doug Horne. We are talking about his five volume masterpiece, “Inside the ARRB,” if you’re a student of JFK you must have this in your library, and you must read it. Find it on Amazon.com. We’ll be right back.